Batam city's economy continues to show progress graph, it can be seen from the rapid growth in all sectors such as industry, SMEs and of course the world of tourism. No doubt busy routine Batam community from morning to night is a common sight in the city of Batam. Seeing this, surely the need for refreshing is the essential need to remove tired tired after activity. The question is, what and entertainment venues like anything that could answer the needs of the community average of these Batam,,? Mega Tour Ocarina is his answer, the presence of Ocarina Mega Tour a few years ago, has become its own icon family entertainment recreation. Bids to view coastal recreation facilities plus a fairly complete entertainment option for families to Batam for a variety of entertainment. 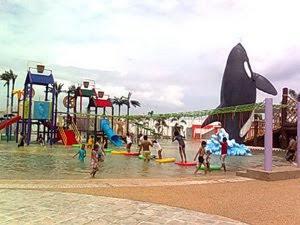 Batam community needs to realize this, Ocarina has never stopped complement their entertainment facilities, the most gress today is his new inaugurated Water Park and 3D theater. 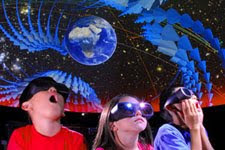 Rides and water games 3D Movies for families, who had just attended the Mega Tour Ocarina Batam Center. The new entertainment facilities are entertainment venues eagerly awaited by the people of Batam for this. 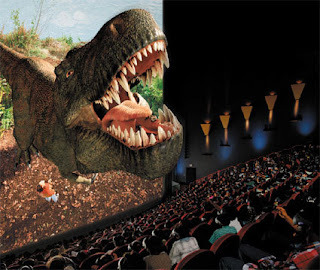 Batam community now has a place to enjoy the rides and water entertainment 3D theater in the area Ocarina Mega Tour. Precisely at 10:00 am Sunday (13/12) and, marked by the inauguration of Ocarina's management and investors Water Park and 3D theater. The inauguration began with a ribbon cutting by investors as Vivi's mother was accompanied by Ir. Cahya, Mery (Arsikon Group CEO), finally had its official opening marks Ocarina water park and theater in the area of 3D Ocarina Mega Tour which cost Rp. 12 billion more. On that occasion, Ir. Cahya, as Arsikon Group CEO and owner of this tourist resort say, with the opening Water Park and Casino 3D is a promise from him to continue to increase the development of tourism areas Ocarina as a complete resort on the island of Batam .. "This is my promise to complete the gradual vehicle game this tourist area, "said businessman Batam currently entrusted as the Chairman of Batam City Apindo this. Development Water Park itself according Cahya, has a land area of 1.5 acres with pond area of 3000 meters. "Water Park itself intended for visitors of all ages with all the facilities at present, such as" Masage chair, Nozlle, Lange-Fountain , Nozle-Fountain, Arc tend, Floating Lotus-Leaf, Bath Show, Bridge, Fountain, Fountain, Barrel of Pouring Water, Rainbow Slide, Slide for Family Bar, Water Gun, Slide Hill Creep, "said Cahya father in the town of Batam Badminton it. Goddess Ocarina matching Koriati Director also said that tourism water "Water Park" as a form of awareness and commitment to tourism in Batam city fully supports the visit Batam 2010. "In addition to Water Park and 3D Theater, Ocarina also will soon build the largest Convention Hall will be able to accommodate about 3000 people and Condotel," she said. Evidence of unusual greeting people of Batam, just at the opening of hundreds of visitors who had waited since early morning burst and to feel the direct vehicle and water games this 3D Cinema.